This two bedroom, 1.5 bathroom townhouse is situated on the lovely Tala Chorio complex which is located just a short walk from the charming Tala Square which has a choice of restaurants and taverns. The complex is a mix of apartments and townhouses and has a large communal pool and well kept communal gardens and has views over the village to the sea. The property is offered for sale as fully furnished and there are full TITLE DEEDS. Built in 2004 this two-bedroom town house is ideal as a 'lock up and leave' holiday home or large enough for permanent living. 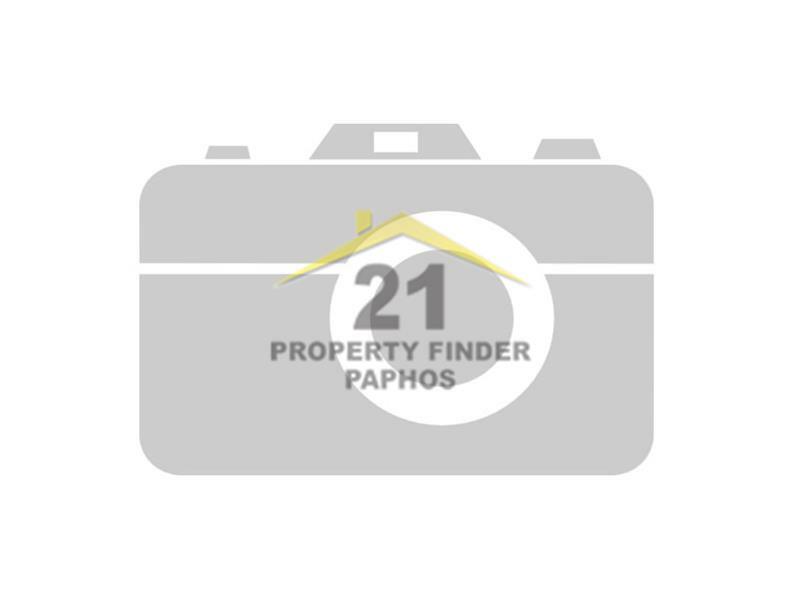 The property has a covered internal area of 105m2, a covered veranda of 20m2 and a patio garden overlooking the communal gardens and covered allocated parking. The property is entered from the covered parking to the front door. On entering the town house there is a guest W.C. to the left and 2 steps to the open plan living area and to the right side for the kitchen area and the dining area beyond. The living area is spacious and has ceiling fan, split air conditioning unit, patio doors leading out onto the front covered veranda and a stairway down to the ground floor. The kitchen is fitted with a range of wall mounted and base units with work surfaces over single sink unit with mixer tap, tiled splash backs, with electric oven and hob, washing machine, freestanding fridge freezer. The dining area is separated from the kitchen a breakfast bar and there are patio doors to the veranda. Descending the staircase, you come to the landing which has doors leading to the two bedrooms and the main bathroom. The master bedroom has fully fitted wardrobes, split air conditioning unit, patio door to the patio garden with views over the communal gardens and to the sea. Bedroom two is fitted with wardrobes and has air conditioning and views to the garden and a side door to the patio garden. The family bathroom is fitted with a white suite comprising of wash hand basin in a vanity unit, low level wc, bath with shower over, tiled walls. Outside the property to the front there is a covered allocated car parking space and to the rear there is a spacious patio garden suitable for relaxing and enjoy the privacy of the views over the communal garden. The communal pool is close by and there is lots of space for sunbathing around the communal pool. Tala is a very popular area, the village square is the main focal point and there is a the nearby monastery of Neophytou and the Tala cats sanctuary for the cat lovers. As the main tourist areas of Coral bay and Paphos are only 6 kms away you will find that the village of Tala is a convenient place to live. To view this property please contact us on 00357 26600437 to arrange an appointment.